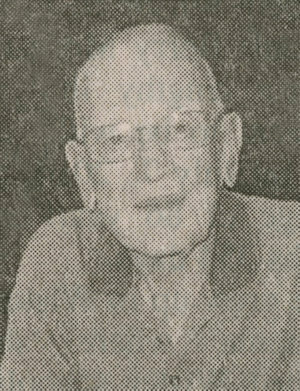 Obituary – Foster, David Lyle « Perry High School Alumni Association, Inc.
David L. Foster, 84 of Albuquerque, New Mexico, passed away June 17, 2014. He was born in Perry Oklahoma and graduated from Perry High School. 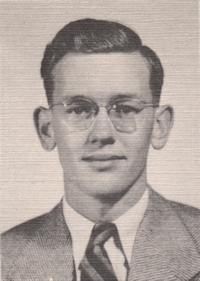 He attended Oklahoma A&M University (now Oklahoma State) and received a BS in Chemistry. He married Dorothy Marie Rupp in 1951 and then was drafted into the U.S. Army during the Korean Conflict, stationed in France. He returned after his tour of duty and over the next several years received 2 master’s degrees from Oklahoma A&M. His first position following college was teaching high school in Tulsa OK. Later he accepted a position with the DuPont Savannah River Plant in Aiken, South Carolina where he became a health physicist and radiation specialist. His next position was with the US Atomic Energy Commission (now the Department of Energy) in Chicago, IL and transferred in 1970 to Albuquerque, NM. David leaves his wife of 63 years, Dorothy; 3 sons, Stephan L. Foster (Barrie) of Atoka, TN, Timothy R. Foster (Reta) of Albuquerque, NM, and Michael D. Foster(Cynthia) of Anna, TX; 6 grandchildren, and 2 great-grandchildren. He will be interred at the National Cemetery in Santa Fe, New Mexico.